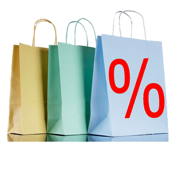 Don't be fooled by all the percent and dollar off discounts. Use this multiple discount calculator to find out the exact discount you are getting after combining all the discounts. Great for shopping at department stores when you see multiple percent off discounts and want to know the exact amount you are saving.